For many many years the Rotary Club Battersea has held a free Christmas Day Event for the elderly of Wandsworth, this requires a great deal of work, but everyone guests and volunteer helpers all have a great time. The whole Hamill family donated their Christmas day in 2015 volunteering to support this great cause and will do so again this year. 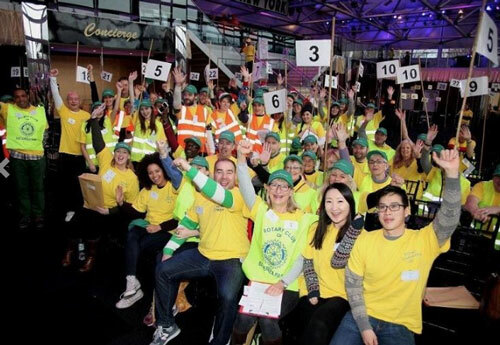 Here is a brief on the Battersea Rotary Club and the great things they do. is the world’s largest service organisation. The Rotary Club of Battersea Park was founded in 1955.